If you are one of those who believe that dreams don’t come true, you should definitely read Wendell Smallwood’s story. The Philadelphia Eagles’ running back is unarguably living his dream, playing for one of the biggest teams in the National Football League (NFL). Smallwood has been a fan of the team since he was a kid and his favorite player back then was non-other than Duce Staley, who also played in the team as a running back which turned out to be Smallwood’s position when he was selected by the team in 2016. Before his NFL career, he played college football at West Virginia after he was ranked a 3-star recruit by Rivals.com. Learn more about the RB below. Smallwood was born in Wilmington, Delaware on the 20th of January 1994 with the birth name Wendell Lynn Smallwood Jr. He has always been in love with the game of football since he was a child. His love for the game didn’t just end with him being a die-hard fan of the Philadelphia Eagles and of the then running back, Duce Staley, but his love for the game led him to the field where he also played the game. While at Red Lion Academy located in Bear, Delaware, Wendell Smallwood played with the school football team briefly before transferring to Eastern Christian Academy, Elkton, Maryland, where he continued playing for the school team until the end of his senior year. He was ranked a 3-star recruit by Rivals.com and committed to play college football for West Virginia University after high school. As a true freshman at West Virginia, he played a total of twelve games and rushed for 221 yards on 39 carries with just one touchdown. Wendell also doubled as a kick returner in his first year, returning 30 kickoffs for a total of 541 yards. During his second season, he played thirteen games, rushed 722 yards on 148 carries and 2 touchdowns. He also made 31 receptions, making him the 5th highest in the school’s history for a single season. As a junior, he rushed for 1,519 yards on 238 carries with 9 touchdowns. After his junior season, he entered for the NFL Draft, forgoing his senior year. At the end of his collegiate career, he had a total of 2,462 rushing yards, making him the 9th player with such record in the history of the school. Wendell Smallwood was drafted by his dream team – the Philadelphia Eagles – as the 153rd overall pick in the 5th round of the 2016 NFL Draft. He signed a 4-year rookie contract with the franchise in May of the same year. In September, he scored his first career rushing touchdown in a game against the Pittsburgh Steelers which ended in a 34–3 win. Smallwood soon replaced starter Ryan Mathews who suffered an ankle injury and rushed eighty-nine yards on seventeen carries and a touchdown. During a week six game against the Washington Redskins, he scored his first kickoff return touchdown which became the league’s first kickoff return touchdown for the season. In December, however, he was benched due to an injury. He ended his rookie season with a total of 312 rushing yards with one touchdown. He finished the next season with 174 rushing yards, 13 receptions, one rushing touchdown, and 103 receiving yards. He was part of the Eagles team that defeated the New England Patriots to win Super Bowl LII in 2018. Wendell is the only child born to Nichelle Barber and Wendell Smallwood Sr. Growing up in the rough neighborhood of Wilmington, Smallwood was in the company of some kids at a convenience store in the area when he was just thirteen when a state trooper arrived and one of the kids threw a glass bottle at the officer. This led to all the kids being sentenced to community service including Smallwood. They were all also ordered to write a letter to their mothers, explaining what they did. 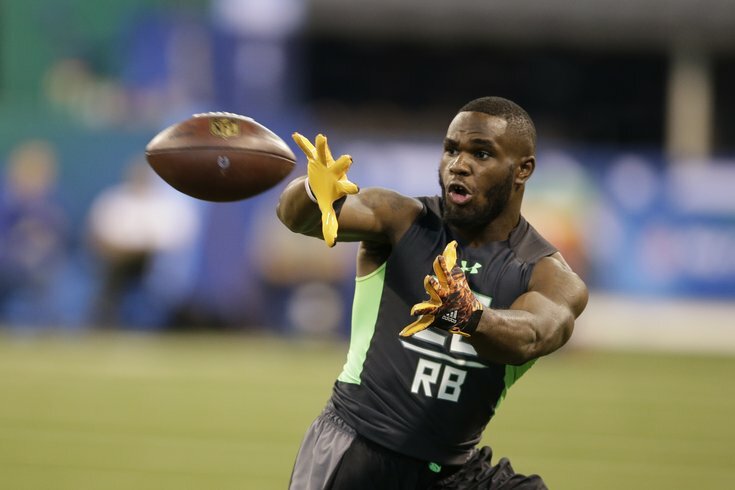 In 2014, Wendell Smallwood was arrested in Delaware and charged for witness tampering. The running back reportedly accused of trying to get a witness to repudiate statements already made that implicated Wendell’s friend who was charged with first-degree murder. The charges against him were dropped two weeks later when his friend, Zakee Lloyd, pleaded guilty to second-degree murder. The NFL star stands at a height of 5 ft 9 in (1.8 m) with an athletic and well-built body that weighs 91 kg (201 lb).